Applies to select new 2019 Audi A6. Audi Bozeman is Montana's only exclusive Audi Dealer. In the Audi tradition we have made an unwavering commitment in our dedication to customer service, and have a staff of caring professionals. Committed to Service. Not just words, it's the rule that we live by. Our mission is to make every customer a customer for life, by consistently providing world class service at our new and used Audi dealership. Visit us today and learn for yourself why we are different. Audi Bozeman is the Premier Audi Dealer located in the heart of Big Sky Country. We have the Audi vehicle you have been searching for at a price you can afford. An Audi dealer with true Montana values. A friendly and helpful sales staff, highly skilled mechanics, and multiple automotive industry awards. Our goal is simple. To give our customers the Audi experience by consistently providing world class service at our state of the art automotive dealership. Visit us today and take a test drive in your dream Audi, or give us a call at 888-461-8442. Imagine driving a stylish and sporty Audi in Montana by this afternoon! Bozeman Audi can help you do just that. Our dealership is stocked with the latest Audi sports car and luxury car models including the A3, A4, Q3, Q7, A6 and Q5, and many others. Get a great deal on an Audi in the Montana, Idaho, Wyoming, or Washington area by calling 888-461-8442, or visiting Audi Bozeman in person today. Searching for a used Audi car in Montana? Start and end your search with Audi Bozeman, and save thousands. With a huge selection of low priced, high quality vehicles, we are certain that we can locate a used Audi which suits your taste. As an Exclusive Audi Dealership, we service, stock and sell the Audi you have been looking for. Audi Bozeman only stocks well maintained used Audi sports cars, SUVs and sedans which have undergone a meticulous inspection by our auto technicians. If you have not been able to locate a specific new or used Audi car in Montana, Idaho, Wyoming or Washington, we are here to assist you. 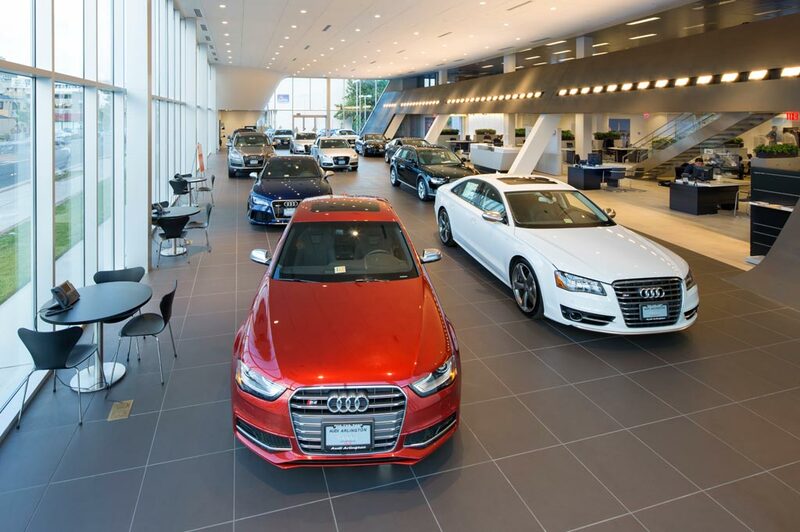 Audi Bozeman in Bozeman, MT treats the needs of each individual customer with paramount concern. We know that you have high expectations, and as a car dealer we enjoy the challenge of meeting and exceeding those standards each and every time. Allow us to demonstrate our commitment to excellence! Our experienced sales staff is eager to share its knowledge and enthusiasm with you. We encourage you to browse our online inventory, schedule a test drive and investigate financing options. You can also request more information about a vehicle using our online form or by calling (406) 556-4283.